Executable compressor for .net files with password protection options. 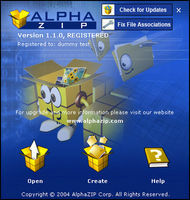 Zip, unzip and create self-extracting files. Password functionality supported. 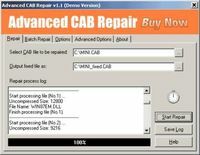 Advanced CAB Repair is a powerful tool to repair corrupt CAB files. Advanced RAR Repair is a powerful tool to repair corrupt RAR or SFX archives. 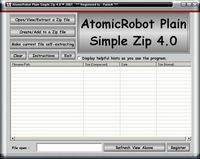 Fast easy simple zip/unzip program! Wow! Makes self-extracting zip files too! Unzipping (and zipping) made easy... and free... Finally! CypherZIP - Now your ZIP is really secure! Create digital vaults for storing, organizing and sharing files. DzMultiU is an utility to uncompress multiple zip files in one operation. EasyZip has a modern easy-to-use interface, with access to powerful features. LS Archives contains all the basic features you expect from a compression util. 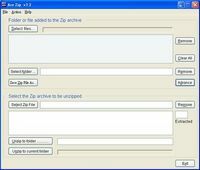 Zip, unzip and create self-extracting files. Supporting works on context menu. Compress PDF files to make them as compact as possible by optimization.